You know what it is like. You spend loads of money on a really nice case for your smartphone or tablet, but a year down the line you upgrade and that cases don’t fit any more. Which is why Proporta new range of Frankie and Gecko case are such a smart idea. This is because they are compatible with a wide range of phones and tablets. 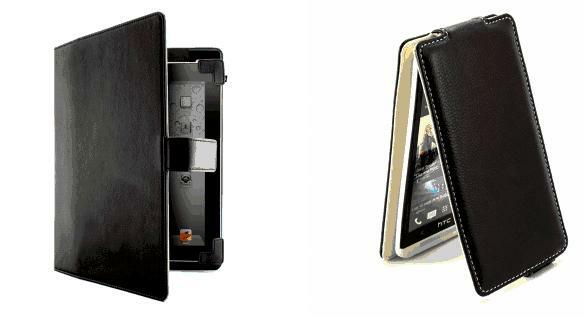 Take the Frankie tablet case, It is made from fine leather and can double as a stand if required. And it works with not just the 10inch iPads, but also the recent, and rather excellent, Sony Xperia Z tablet as well as 10inch tablets from Samsung and Google. Likewise the Gecko will house a range of smartphones including the Samsung Galaxy S3 and S4, the HTC one, Google/s Nexus and Windows phone 8. The Frankie tablet case is £34.95 while the Gecko is £19.95 and both are available from Proporta.